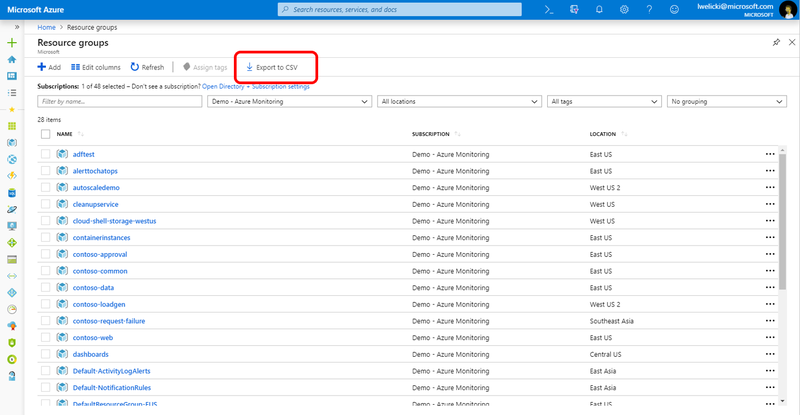 This month we’re bringing you updates to several compute (IaaS) resources, the ability to export contents of lists of resources and resource groups as CSV files, an improvement to the layout of essential properties on overview pages, enhancements to the experience on recovery services pages, and expansions of setting options in Microsoft Intune. Sign in to the Azure portal now and see for yourself everything that’s new. You can also download the Azure mobile app. Let’s look at each of these updates in detail. We learned from you that a common scenario involves adding a new VM to a load balanced set such as setting up a SharePoint form or putting together a three-tier web application. You can now add a new VM to an existing load balancing solution during the VM creation process. When you specify networking parameters for your virtual machine, you can now choose to add it to the backend pool of an application gateway for HTTP and HTTPS traffic or load balancer Standard SKU for all TCP and UDP traffic. The Azure Resource Manager (ARM) deployment model was released nearly three years ago, and many features have been added since then that are exclusive to ARM. The Azure platform supports migrating classic Azure Service Manager (ASM) resources to ARM, and you can now use the Azure portal to migrate existing infrastructure virtual machines, virtual networks, and storage accounts to the modern ARM deployment model. Navigate to a classic virtual machine, and select Migrate to ARM from the Resource menu under Settings. You can now use the portal to reset the password of virtual machine scale set instances. 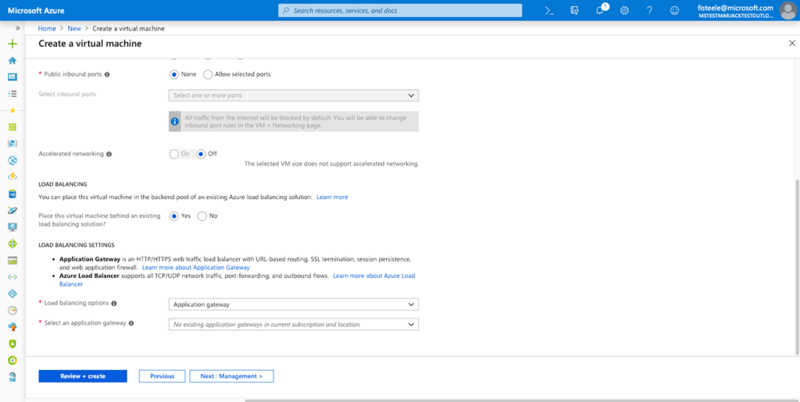 Navigate to a virtual machine scale set in the Azure portal, and select Reset password. We have recently added the ability to export the contents of lists of resources and resource groups to a CSV (comma separated values) file. We’ve changed the way that essential properties are laid out on overview pages so there’s less vertical scrolling required now. On standard wide screen resolutions, the essential properties (key/value) will be laid out horizontally rather than vertically to save vertical space. However, you will still get the vertical layout if the essential properties do not have enough horizontal space to avoid truncation and/or ellipsis of the important information. Select Virtual Machines within the menu on the left. 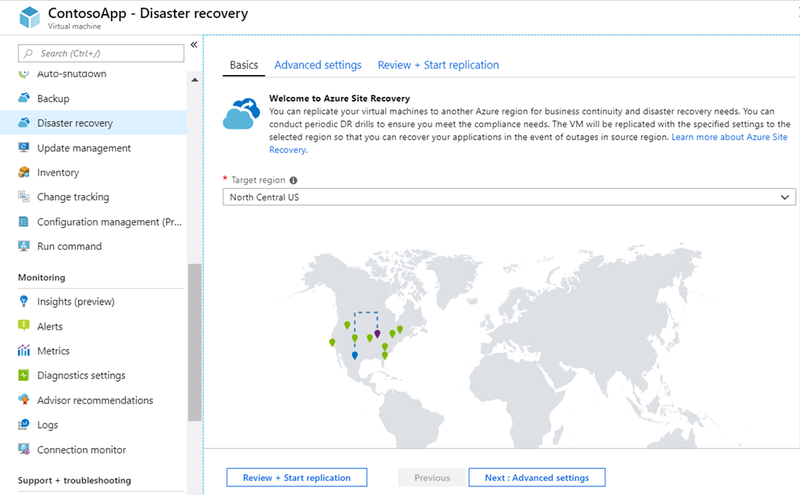 The new enhanced IaaS VM disaster recovery multiple tab experience lets you configure the replication with a single click. It’s as simple as selecting the Target region. Select Disaster recovery within the menu located on the left. Select Review + Start replication. We also now have a new immersive experience for Site Recovery infrastructure with the addition of an overview tab. Select any Recovery service vault. Select Site Recovery infrastructure under the subheading Manage. The Microsoft Intune team has been hard at work on updates. You can find a complete list on the What's new in Microsoft Intune page, including changes that affect your experience using Intune. You can always test features by visiting the preview version of Azure portal. Thank you for all your terrific feedback. The Azure portal is built by a large team of engineers who are always interested in hearing from you. 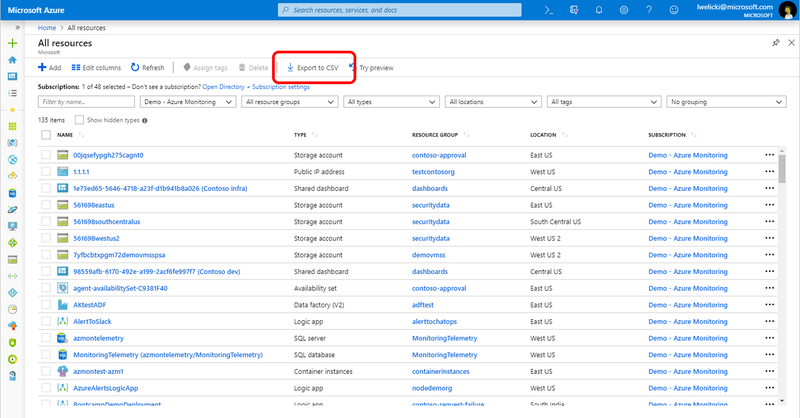 We recently launched the Azure portal “how to” series where you can learn about a specific feature of the portal in order to become more productive using it. To learn more please watch the videos “How to manage multiple accounts, directories, and subscriptions in Azure” and “How to create a virtual machine in Azure.” Keep checking in on the Azure YouTube channel for new videos each week. Don’t forget to sign in on the Azure portal and download the Azure mobile app today to see everything that’s new. Let us know your feedback in the comments section or on Twitter. See you next month.